We prefer to walk on the roof surface to perform our roof inspection and generally do assuming it is safe to do so and doing so will not damage the roofing material. There are limitations; concrete, slate and clay tiles are easily broken and should not be accessed. Rain, wet and steep roofs are dangerous to access. With our state-of-the-art cameras, we are able to reach areas that would otherwise be unreachable. 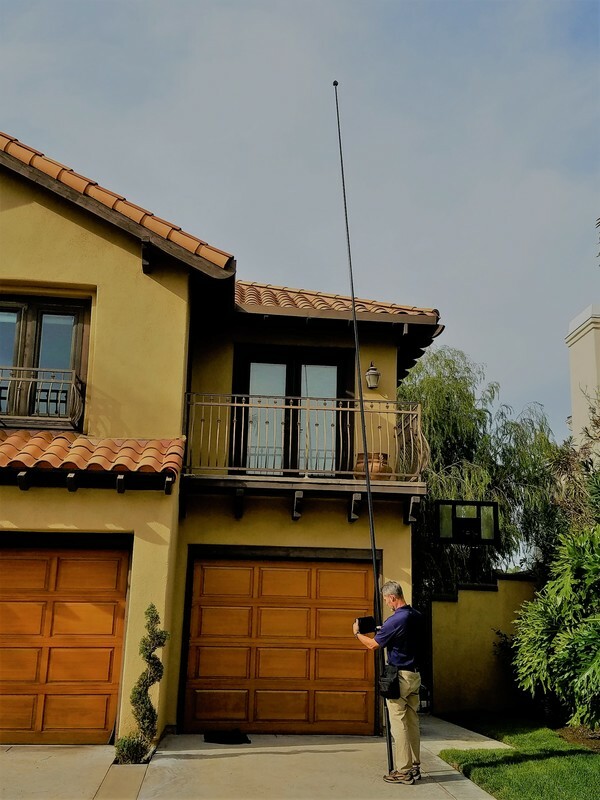 Using our Aerial Roof Inspection technology, we are able to get up close and personal with the hard to see areas of inaccessible roofs, chimney flashing, skylights...and more. We choose not to use drones because of their limitations. Some cities prohibit the use of drones, while flying in windy and rainy conditions can be risky and requires expert piloting. Using our high powered, high definition cameras we are able to safely evaluate the roof. And it's included with your home inspection at no additional costs.